Will Jeff Skinner re-sign with the Buffalo Sabres or be traded? 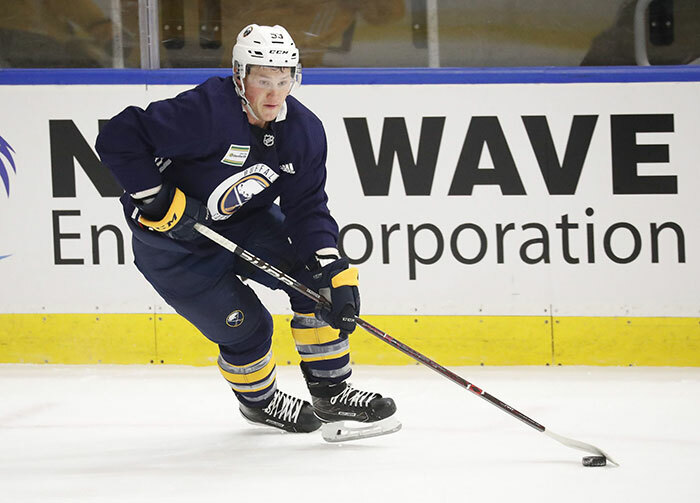 Buffalo News: One reason the Buffalo Sabres got Jeff Skinner for just draft choices and prospect Cliff Pu is that the veteran winger is entering the last year of his contract. His cap hit is $5.725 million. Will the Sabres be interested and able to work out a long-term deal? Will Skinner be willing to stay? What happens at the 2019 NHL trade deadline? Does Skinner accept a deal to a contender if the Sabres are out of the race and look to move him? GM Jason Botterill could conceivably get several assets back in exchange for a prolific goal scorer. TSN: William Nylander said that while he would like to be playing with the Toronto Maple Leafs, he has to think long-term while working out a contract extension with the team. According to TSN Senior Hockey Reporter Frank Seravalli, the restricted free agent is losing somewhere in the range of $20,000-$45,000 per day from his next contract each day he misses this season. Nylander said it’s a cost of focusing on his long-term future. As this contract stalemate drags along, the Leafs might look into trading Nylander for a young top 4 defenceman. Nylander wants $8 million/year which he will never get from the Leafs and likely not from another NHL team.